Unlike competitor boot kits, PME’s kits allow you to use the same axle boot and CV joint saver on the wheel hub side as well as the transmission side. Because who wants to have two different sets of axles boots on their car!?!? PME's double boot kits features a pinch design that keeps the small inner boot firmly sealed under harsh conditions. It does this by using two flanges that bolt together pinching the inner boot in place. 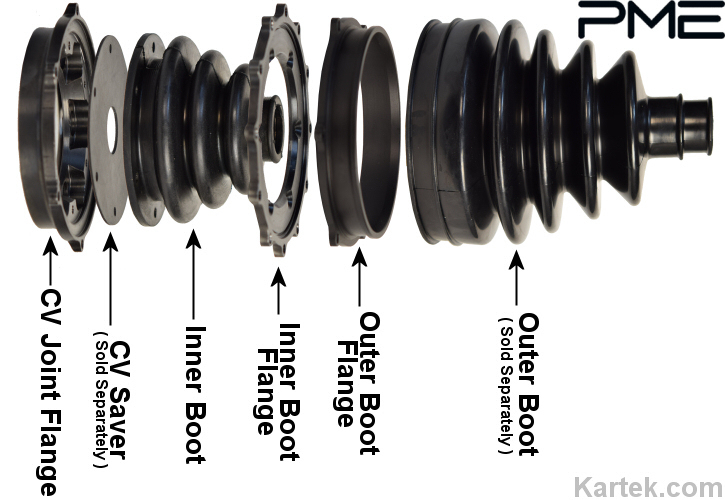 The kit's outer flange features a lip for a large outer boot. The outer boot is not included in the kit to allow your choice of leather or rubber boot. 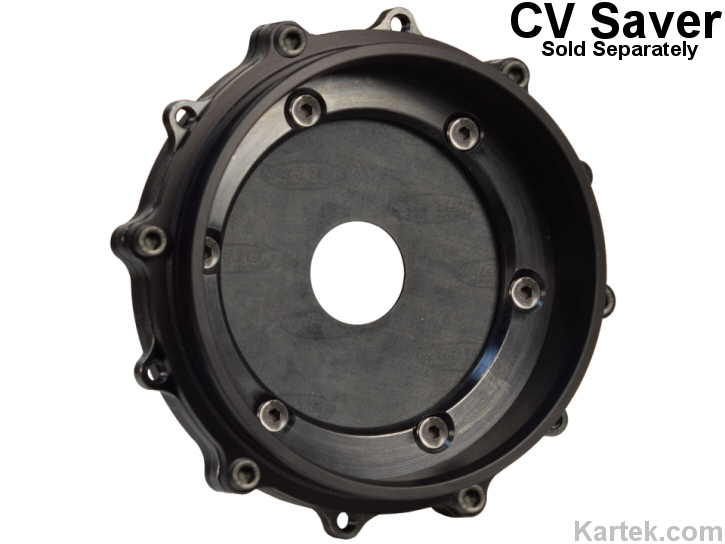 These kits are designed to be used with PME, Jamar or Fortin midboard hubs with 934 CVs. Individual flanges and boots for these kits are available separately.